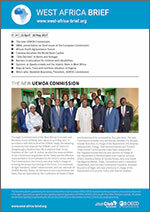 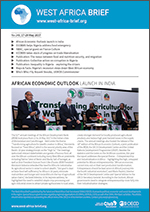 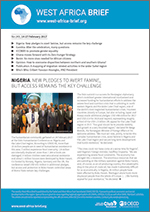 In this issue: The new UEMOA Commission; SWAC presentation on food issues at the European Commission; African Youth Agripreneurs Forum and “She Decides” in Benin and Senegal. 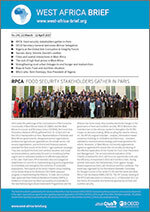 In this issue: Food security stakeholders gather during RPCA meeting in Paris; OECD Secretary-General welcomes African Delegation; Nigeria at the Global Anti-Corruption & Integrity Forum and a success story from Burkina Faso: Simone Zoundi’s cookies. 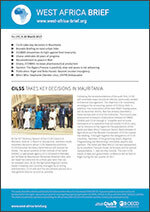 In this issue: CILSS takes key decisions in Mauritania; Brussels Briefing on rural-urban links; ECOWAS streamlines its fight against food insecurity; Ghana celebrates 60 years of progress, etc. 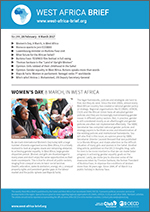 In this issue: Women’s Day, 8 March, in West Africa; Morocco wants to join ECOWAS; Luxembourg minister on Burkina Faso visit, etc. 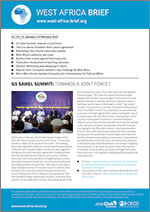 In this issue: G5 Sahel Summit: towards a joint force?, The Goa attacks threatens Mali’s peace agreement, Corruption remains a key challenge for West Africa, etc. 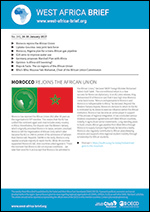 In this issue: Morocco rejoins the African Union, Liptako-Gourma: new joint task force, Germany proposes Marshall Plan with Africa, etc. 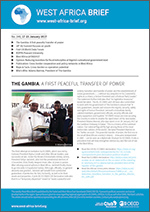 In this issue: The Gambia: a first peaceful transfer of power; 28th AU summit focuses on youth; First UN World Data Forum; ROPPA Peasant University; etc. 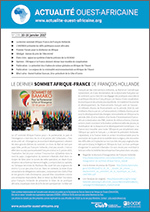 In this issue: Hollande’s last Africa-France summit; UNOWAS briefing on West Africa’s political challenges; First Africa Resilience Forum, etc. 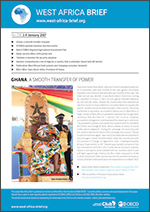 In this issue: Ghana: a smooth transfer of power; ECOWAS upholds Gambian election results; New ECOWAS Regional Agricultural Investment Plan; etc.